Like homeowners insurance or health insurance, although no one wants an earthquake or a broken leg, it’s imperative to be prepared. We consulted two art insurance specialists, and both had horror stories to tell. Things like pencils going through paintings and red wine glasses flying onto canvases. Interestingly enough, in each case the art collector came to the insurer after the incident looking for a restoration expert and art insurance coverage. The problem with getting a painting insured after a pencil rips a hole through it is—you won’t get a dime of reimbursement for the restoration or the lost value of your piece. After speaking with Victoria Edwards of Wasserman & Associates Insurance Agency, LLC, specializing in fine art and jewelry insurance, and with William Fleischer of Art Insurance Now, we learned that art collectors need to be ready for anything. 1. 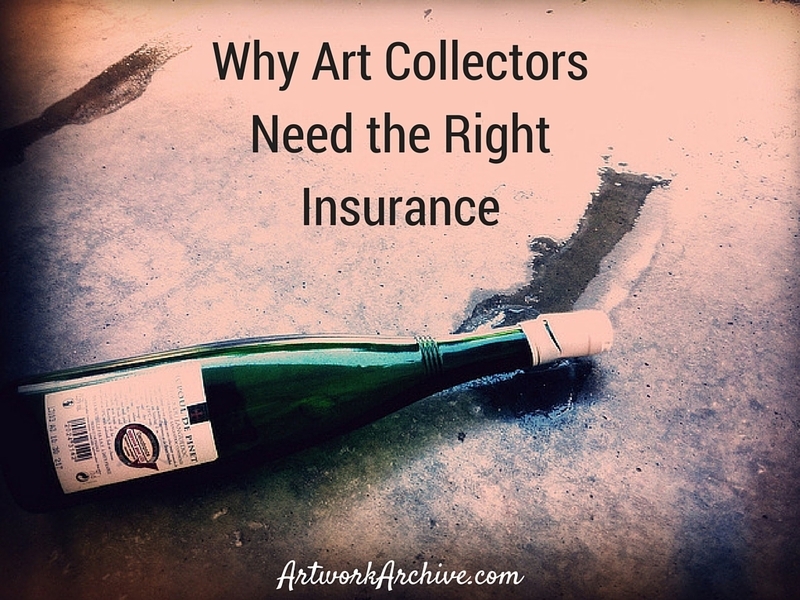 Does My Homeowners Insurance Protect My Art Collection? One of the first questions people ask is: "Does my homeowners insurance cover my artwork?" Homeowners insurance covers your valuables subject to your deductible and coverage limits. “Some people think that their homeowners insurance will cover [fine art],” Edwards explains, “but if you don’t have a separate policy, and think it’s covered under your homeowners insurance, you need to check the exclusions.” It’s possible to buy special coverage for specific items such as pieces of art, which would cover them for their most recently appraised value. This is something you need to do your due diligence on as an art collector. 2. What are the Advantages of Working with a Separate Fine Art Insurance Company? Like any insurance policy, be cognisant of what is covered. Some personal policies exclude restoration. Meaning that if your piece is harmed (think: red wine flying at a canvas) and needs to be repaired, you will be responsible for the cost. If you need to send a painting to a conservator, the value may reduce. Fleischer also notes that an art insurance policy will give you the reduction of market value if that is included in your coverage. 3. What’s the First Step in Insuring My Art Collection? The first step to insuring your art collection is putting together provenance, or all the necessary documentation to prove that the work of art is yours and what it’s currently worth. These documents include proof of ownership, bill of sale, provenance, a replacement estimate, photographs and the most recent appraisal. You can store all of these documents in your Artwork Archive profile to keep things organized and easily accessible in the cloud. The frequency that you should update your appraisal documents is subject to each company’s underwriting philosophy. 4. How Often Do I Need to Schedule an Appraisal? If you are scheduling an updated appraisal, specify that it is for insurance purposes. This will give you the most up-to-date market value of your piece. Not only is this important for insurance, but is necessary for planning your estate, analyzing the overall value of your collection, filing your taxes, and selling artwork. 5. How Can I Keep My Provenance and Appraisal Documents Timely for My Coverage? 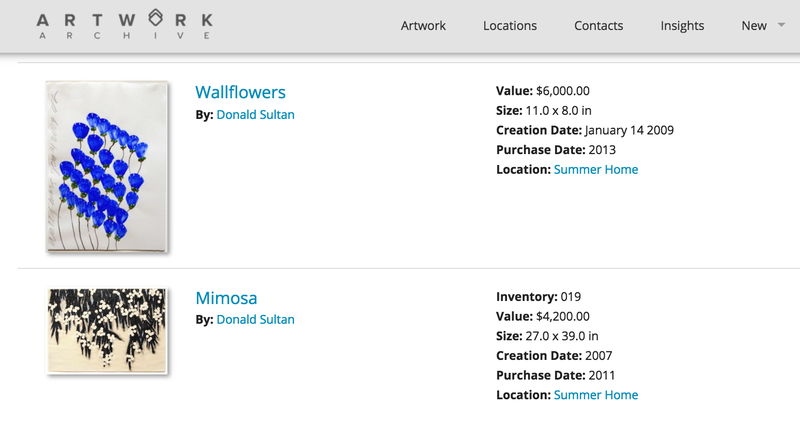 Having all your documents in one place allows you to properly manage the value of your art collection. Accurate information also makes you a lower risk within your insurance policy. 6. What Are the Most Common Claims? Cherish what you love and keep it safe. Get more expert collecting tips for finding, buying, and caring for your collection in our free e-book, Essential Guide to Collecting Art, available to download now.